So, I have machine quilted a number of quilts and have done the stipple, straight line, and echo. I was hoping to utilize a stencil in the border of my current quilt. I assumed a stencil would give me a design that I could easily follow with my machine. 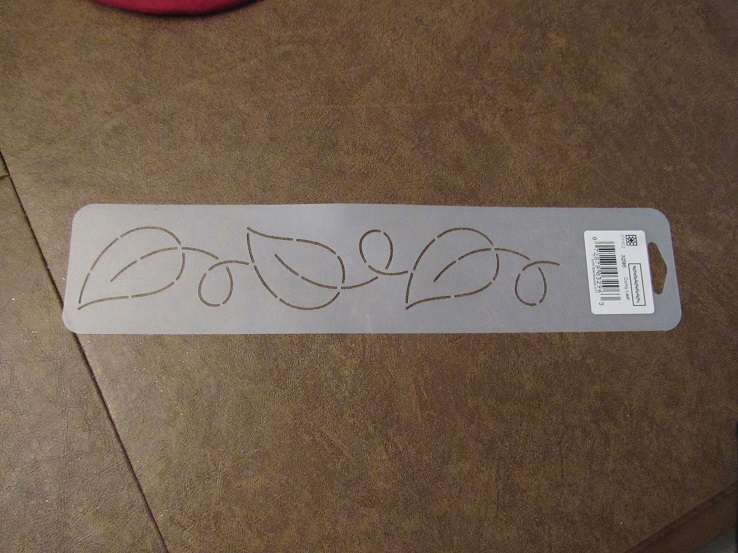 So I bought this leaf stencil and quickly determined that it can't be done in a continuous motion. So what do people do? Do you backtrack? Do you stop and start with a locking stitch? Any advice will be helpful and in the future I'll probably examine the stencil better! I did a leaf pattern with a stencil. the leaves had points. i sewed the vine first pass (after marking). then sewed one side of the leaves, then the other side. perhaps you could alter your stencil a bit and make it work. I think i did this free motion, can't remember. I have this stencil and used it for the first time just last week. You do need to back track along one side of the leaf. Do the curly part, up the middle, back to curly, around the whole leaf and then backtrack up the side to get to the start of the next curly. Youll get into a rhythm and it goes pretty well. Have fun! Instead of following the stencil exactly, use it as a guide. When you finish the leaf and vein, echo, not backtrack, the top half of the leaf to the curly stem and continue. Echoing is easier than backtracking, IMHO. You sew the stem of the leaf inwards then go back over it to return to the stencil path. The do sorta similar when the loop hits the stem and then go over the path to get to where you left off in the stencil and continue. Long arm digital patterns do this quite often. Here's how to make it continuous: stitch the loop, stitch the entire leaf, stitch the vein in the leaf all the way to the tip of the leaf and out, make another loop. Repeat. Thanks all for the advice! I'm going to modify the stencil to make it continuous -- I don't want my first stencil experience to have to backtrack! 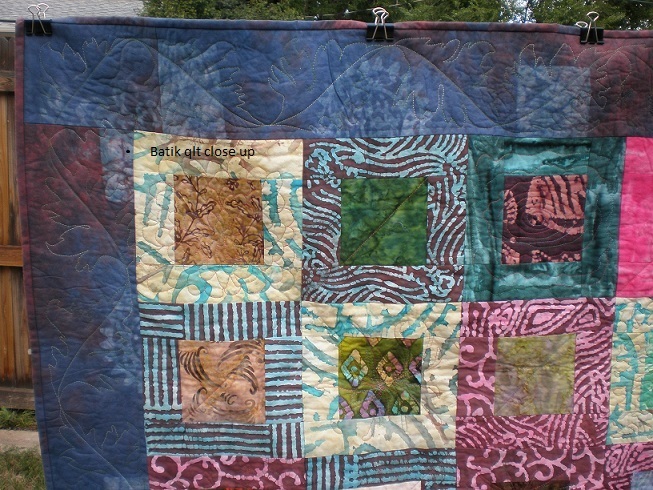 Lots of great thoughts and ideas for my future quilts! That's how I would do it also. I just traced the design with my mouse - I started at the bottom point of the leaf on the left hand side of the picture travelled up to the top of the leaf came back down to the original point then traced in the vein which looped around to the next leaf. Let us know how you go - I like that design for a border. That’s how I do my leaves too. I’m okay with backtracking the vein but I leaf out to my next one. Note for next time: continuous line stencils are available for many patterns. Last edited by Jan in VA; 05-13-2018 at 12:36 PM.